PKR launched in 2006 and became an instant hit with the poker community thanks to it offering an immersive online poker experience. The standout feature of PKR is its amazing graphics, including fully customizable avatars that make you feel that you are actually playing poker in a live environment! In 2010, PKR was ranked number one in the Sunday Times Tech Track Top technology list thanks to its unique playing software, dedication to customer support and community focus. PKR and PokerNews enjoy a fantastic relationship and because of that we can offer new PKR customers the biggest and best PKR welcome bonuses and packages on the internet. The standard sign-up bonus is a 200% match up to $1,000 first deposit bonus, but more often than not, PokerNews can offer you a special welcome package that has the same first deposit bonus and a whole lot of added extras such as freeroll entries and tournament tickets. PKR offers a five-tier loyalty club that, unlike other loyalty schemes, does not reduce your loyalty level after periods of inactivity – once you have climbed to a new loyalty level, you stay there until you climb to the next highest one! Some of the benefits of the PKR loyalty club include great gifts such as poker books and chips sets, exclusive freerolls (including one on your birthday!) and VIP access to some of PKR’s amazing live events. 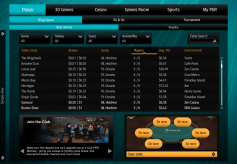 PKR currently offers fixed limit and no limit Texas Hold’em, pot limit Omaha and Omaha Hi/Lo cash games, sit & go tournaments and multi-table tournaments. The majority of the cash game traffic is found at the micro-to-low stakes six-handed no limit Hold’em tables, although there is action up to $2/$4 and sometimes as high as $5/$10. As for tournament poker, PKR customers can enjoy a wide range of different tournaments with buy-ins ranging from less than $1 and increasing up to $100, sometimes higher during its online poker festival. 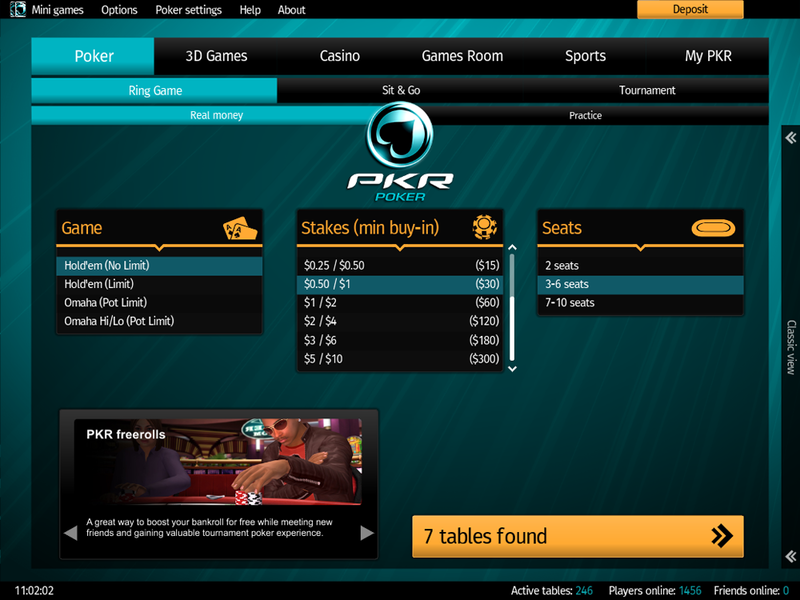 PKR also runs satellites to the World Series of Poker, its own PKR Live events and many more. 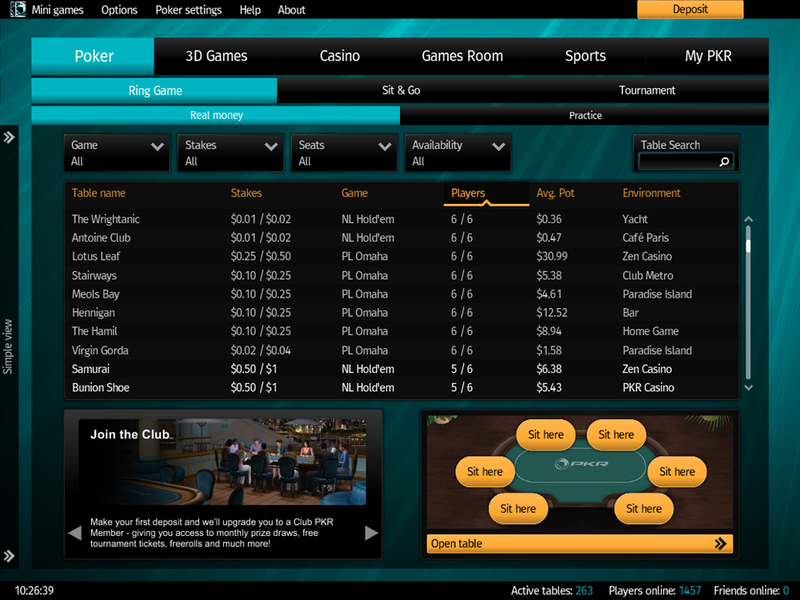 As mentioned, PKR’s standout feature is its amazing graphics and customizable avatars. You can create an avatar to look like you or whoever you want it to look like, then use your frequent player points to purchase clothing, chip tricks and even virtual drinks for your avatar and your opponents! Each avatar comes with a range of animated emotes that are used to express yourself at the tables. As PKR say, you get to experience poker as it was meant to be played when you sit down at a PKR table. 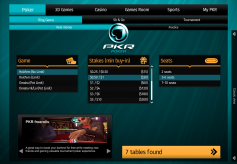 For players with lower spec computers, there is the option to download and play "PKR-Lite," a version of PKR that has been stripped of some of its graphical features to help it run smoother. 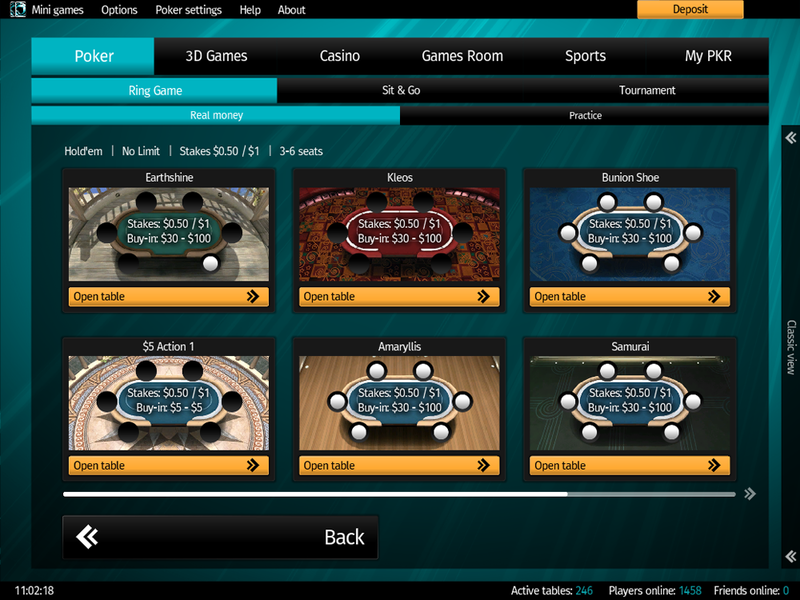 If you encounter a problem while playing at PKR, you can rest assured the PKR’s excellent support team has you covered. You can try and help yourself with the interactive FAQ pages, or receive extra help via email or via the live chat option. PKR offers a brilliant mobile app that runs on iOS and Android-powered devices. Both full 3D and a 2D version are available. 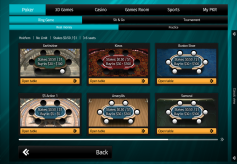 The app is considered to be one of the best in the online poker world and was the winner of the EGR OperatorAwards Best Mobile Poker Product of 2013. Double Your Money With a 200% Up to €1,000 Deposit Bonus!